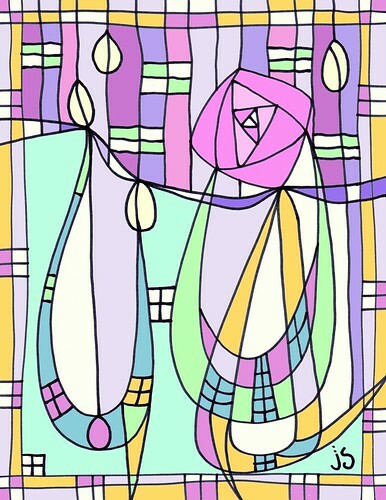 Rose drawn in the style of Scottish Art Nouveau artists Charles Rennie Mackintosh. Colors are amazing. Very beautiful. You never disappoint. Colors and design lovely.